Who was Jesus Christ, and why is December 25 a major holiday celebrated across all geographic, political, and religious boundaries? 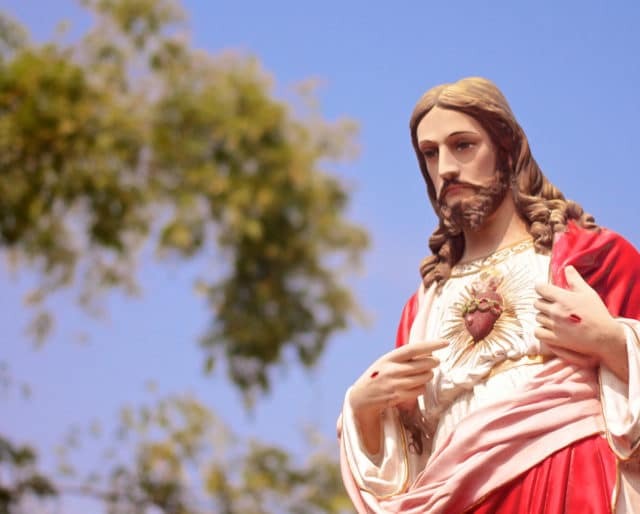 Interestingly, while Jesus is associated primarily with Christianity in the Western world, other religions also recognize him as a significant figure. Explore this fascinating, mysterious, and sometimes controversial man’s life as we honor him on his birthday. When Jesus realized he would be arrested and almost certainly executed, he gathered his disciples for a last supper, gave his friends and followers his final words of faith, and told them that he knew one of them betrayed him. He went into the Garden of Gethsemane to pray, where he was taken into custody. The next day, after being mocked, interrogated, and tortured, he was put to death, along with two thieves. Three days after his burial, his tomb was found empty. This Resurrection would become the most important celebration in the Christian faith, known as Easter in the Western world. Not long after the transfiguration, Jesus traveled to Jerusalem, riding into the city on a donkey during the week before Passover. Despite this humble arrival, crowds gathered, waving palm branches and heralding him as the Son of God. Once again, the powerful political figures, priests, and Pharisees felt threatened and began plans to stop Jesus. After about two years of traveling, preaching, performing miracles, and teaching with parables, Jesus took three of his disciples to a high mountain to pray. Jesus' face began shining, then his entire body glowed with a white light. The prophets Elijah and Moses appeared in a vision, and Jesus talked to them. Then a bright cloud formed around them, and a voice was heard from the cloud saying, "This is my beloved son, with whom I am well pleased; listen to him." This event, which became known as The Transfiguration, has deep significance in Christian beliefs, supporting the identity of Jesus as the Son of God. When Jesus was 30 years old, he met John the Baptist, who declared Jesus to be the Son of God and baptized him. After his baptism, Jesus went into the desert for 40 days and nights of fasting and meditation — resisting three temptations by Satan during this time. He then returned to Galilee and began preaching, acquiring his first disciples. Jesus was born in Nazareth, in the Galilee region of Israel, during the reign of Herod the Great. Herod tried to kill Jesus by ordering all of Bethlehem’s male children under age two to be killed. (Since this event, Passover has been observed as a celebration of all the homes mysteriously marked as having no small sons, and thus "passed over" by the executioners.) But Joseph was warned by an angel and took Mary and the child to Egypt until Herod’s death, after which he brought his family back and settled in Nazareth. Nazareth is now the capital and largest city in the Northern District of Israel. Christians honor Jesus on Christmas Day with a wide variety of customs; most include reenactments of the Nativity scene depicting Jesus' humble birth. Religious music is a major feature of the Christmas season, from simple caroling to glorious performances of Handel's "Messiah" oratorio. Attending a candlelit midnight church service on Christmas Eve is also an annual tradition for many Christian families. The Christmas tree, mistletoe, and other plants associated with the holiday originated in pagan rituals — which blended into the religious observance because December 25th coincides with the winter solstice. Christmas lights are the modern version of candles. There's also an ever-increasing variety of Christmas songs ranging from jazz to rap. Exchanging presents has become a major part of Christmas. This year, perhaps we could consider simplifying gift-giving by thinking about how we can give something of ourselves. This could be nothing more than home-baked gluten-free treats for a friend with food allergies, finding a book your partner has been wanting, or just writing a heartfelt note of appreciation to a family member. Starting from a full and grateful heart, rather than from obligation or pressure, is the key to joyful giving. The name "Christ" actually refers to a title or office, rather than a given name, translated from the Hebrew word for "anointed," and transliterated into English as "Messiah." Jesus had several siblings, including brothers James, Joses (or Joseph), Judas, Simon, and at least 3 sisters, whose names have not been recorded. For example, in Islam, Jesus (commonly transliterated as Isa) is considered one of God's important prophets, a bringer of scriptures, and the Messiah. However, Islam does not consider him the Son of God, as Christians do.